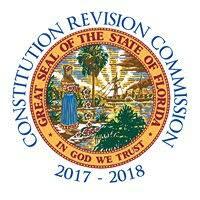 Public hearings were held across the state by the Florida Constitution Revision Commission during which hundreds of concerned citizens voiced their opinions about the changes that should or should not be made to the Florida constitution. We’ve been watching this process closely because some propositions, if approved, would open the flood gates for public money to flow into private religious schools. See our Issues page on this for the full background and updates on this. The public hearings are over and the Commission will now make their final decisions as to which propositions will be put before the voters and how the ballot language will be phrased. The good news is that a poll was done recently to see what kind of public support there might be for the various propositions. The no aid proposition isn’t looking too good. […] voters appear unlikely to approve another high-profile proposal that would lift a ban on state money being used to support churches and other religious groups — what is commonly known as the “no aid” provision of the Constitution. The no-aid provision, for example, has become an issue in debates about school vouchers. The 1st District Court of Appeal in 2004 cited the provision in striking down a voucher program that paid for children to go to religious schools, though the Florida Supreme Court later found the program unconstitutional on other grounds. The poll indicated only 41 percent of voters said they “definitely” or “probably” would support a proposed constitutional amendment to remove the no-aid provision from the Constitution, while 51 percent said they definitely or probably would not. The obvious intent [of proposition 45] is to open a door for state funding of private schools if the legislature deems them to be for, “other educational services that benefit the children and families of this state that are in addition to the system of free public schools.” When combined with Proposition 4, virtually all limits at the state level to taxpayer dollars flowing to support private schools with anti-science agendas will be gone. Looks like the CRC has decided to drop the voucher schemes this time around (offering various contradictory explanations). They have, so far, retained the rather pointless plan to impose term limits on school board members.